Did you know that one of the best ways to learn what you need to know in business is by learning what not to do? It’s true! You can learn a lot from some of the common mistakes made by others in your field. On this episode of The Amazing Seller, you’ll hear from Scott as he shares his insights on building your brand’s presence on Facebook. If you are ready to up your game and really connect with the audience you need to take your ecommerce brand to the next level, make sure to listen to this helpful episode! Remember all those times growing up when you learned what not to do by learning the hard way? You touch a hot stove once as a child and you won’t do it again! While there are many lessons in life that you can only learn the hard way, effectively reaching your audience on Facebook isn’t one of them! 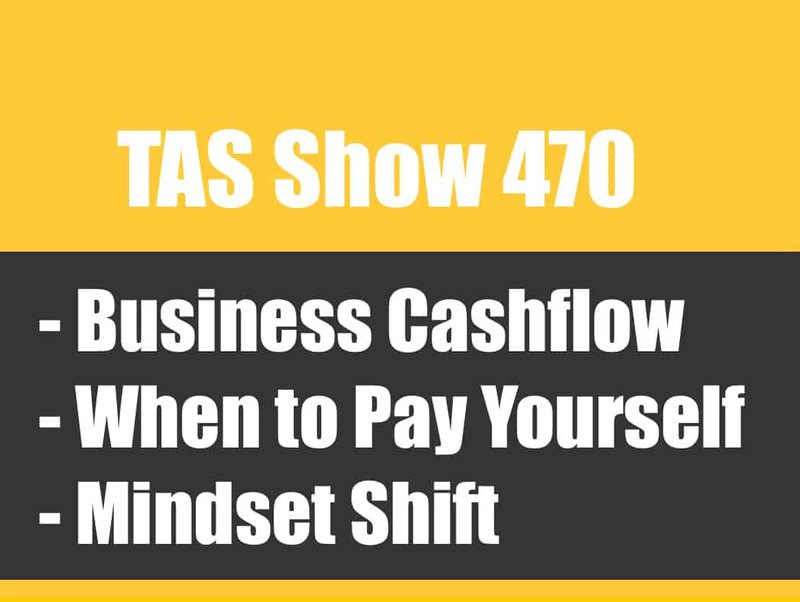 You don’t have to make the same mistakes, you have the opportunity to learn from someone who’s at the cutting edge, learning all the tips and insights you need to get your business off the ground. Make sure to listen to this episode of The Amazing Seller as Scott goes over some common mistakes that sellers like you can avoid when it comes to audience engagement! Engage in a way that works! As a small business owner, you want to get the most bang for your buck, right? Stop wasting time and resources on the old way of engagement by getting people to like your page on Facebook! Rather, target your niche audience with curated content that appeals to them through a tip or addressing a pain point. If you can deliver value in this way and keep your message short and engaging, you are on the right path! To hear more about crafting a compelling message on Facebook, make sure to listen to this episode of The Amazing Seller! How to deliver valuable content. Are you struggling to come up with content that will connect with your target audience? What have you tried so far? Do you think it’s time for a change in strategy? 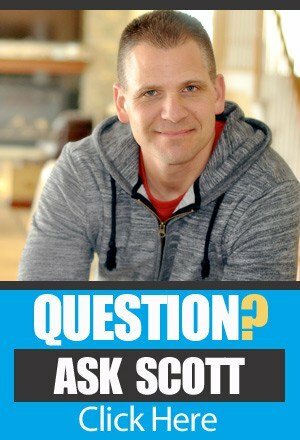 On this episode of The Amazing Seller, you’ll hear from Scott as he breaks down his approach to delivering valuable content to his audience. According to Scott, it all comes down to crafting a relatable approach and delivering value. The last thing you want to do is to waste your audiences’ time! When you connect with your audience using a message crafted for them then you are well on your way, the next step is retargeting them. Get more details from Scott on how to retarget the right people for your brand by listening to this episode! Make sure to check out PACE! If you’ve been around the TAS community for very long then you’ve heard about the PACE method that Scott and his team have developed. If you want to build a solid ecommerce business then you need to take a look at PACE and start mapping your roadmap to success. On this episode, you’ll hear from Scott as he goes over some strategies that you can use to effectively engage with your audience on Facebook. This process falls under the attention and cultivation pillars of the PACE methodology. To get the full breakdown of PACE, make sure to check out the resources section at the end of this post! [4:45] The old way of building a Facebook presence. [10:45] The better way to engage with people on Facebook. [20:20] How to make the best content for your audience. [24:30] Scott runs through what it takes to engage a Facebook audience. [28:00] Why you need to check out the PACE method. …use Facebook to grow your brand and I actually posted a YouTube video on this. You can find that by heading over to TheAmazingSellerTV.com and you’ll see the weekly brand building tips videos there. You can go check those out and I kind of drew this out on the whiteboard. I’m going to kind of explain how this whole thing came about and why I wanted to share it. I’m going to break it down for you so you kind of see the new way, or at least my new way of thinking about how to use and leverage Facebook to grow our brand. The other thing I want to do is remind you of the show notes can be found at TheAmazingSeller.com/567. Sometimes I fail to do that so I wanted to make sure that you knew where to grab the show notes because you might want to grab these. The transcripts will be there as well. The other quick little reminder I wanted to give you is Brand Accelerator Live is official. It is open. You can grab your tickets and you can spend some time with myself, my team, some really cool guests that I have coming and speaking and sharing so we can all learn how to build our brand on and off of Amazon. So, if you have not grabbed your tickets yet, definitely go grab yours. You can find them by heading over to BrandAcceleratorLive.com or TheAmazingSeller.com/Live and you can go ahead and do that. So, it’s going to be a lot of fun. I’m really excited about it and it is real right now. So, depending on when you’re listening to this, we’re about 11 months out, 11 ½ months out, something like that, depending on when you’re listening to this and, yes, it is a little while away, but it’s going to be worth the wait because we have some really cool stuff planned. 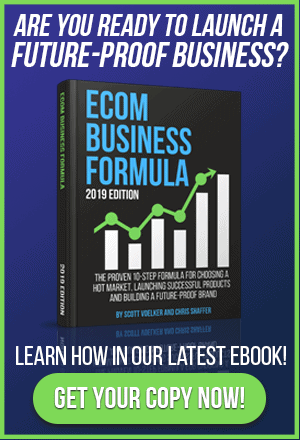 [00:02:08] Scott: I would also say if you have not checked out the miniseries that I did on PACE which is the four pillars to building a successful brand that will last today and also tomorrow. It’s a way to create a future-proof business and that’s PACE. You can find that by heading over to TheAmazingSeller.com/PACE. It’s a free series that myself and Chris Schaffer did so definitely check that out. It’ll get you up to speed as far as those four pillars and building that successful brand. [00:02:37] Scott: All right. So, today I want to share with you this whole wrong way and new way of using Facebook to grow your brand and the reason why I decided to do this episode was because my wife actually has someone that she has been kind of looking at as advice or getting advice for fitness and just someone that she can follow that she kind of resonates with and all that. And it’s really awesome because this person is really good at what she does but she wants to go out there and reach more people. And so, she started to explain to my wife what she was doing as far as trying to get attention. And so, I really want to share with you what she was doing, but I also want to share what I advised her to do. Whether she does it or not, this is what I see as the best way of doing it right now. Now, these things may change in the future but right now Facebook is really, really great at finding our market or helping us find our market, targeting them precisely, and then we can engage with our market really, really quickly and we can do this by running Facebook ads. Now, don’t get scared or afraid that you have to go out there and be a Facebook ads expert. You don’t have to be. I’m not an expert. I could do this myself but I do have people in my team now that help me with this, but I know how it works. As long as you know how it works and the strategy then you can actually pay someone to implement it for you. That’s the cool thing about knowing how to do something is great but then getting someone else to do it for you as long as you know what you want and the outcome, you can go out there and you can hire that stuff to be done and I’ve got resources on my resources page that you can find people that I have used or that other people have used that I know have delivered really good VAs or virtual assistants. [00:04:37] Scott: All right. So, here’s what I want you to do first. I want you to think about this. Kind of like the old way that we used to do it, that we used to build up Facebook as far as like our own Facebook fan page and in getting people to see our stuff like the old way was to go out there and get a bunch of likes. And I was even teaching this like two-and-a-half years ago because it worked. You would run even like a little ad and say, “Hey, like this page if you like pugs or something.” So, you would just get a bunch of likes and if we got a like then there was a good chance that we would show up in their newsfeed. Well, times have changed. It doesn’t work anymore. It hasn’t worked for a long time. So, what I’ve seen was my wife’s friend here was running somewhat of a likes campaign where she was just putting out a video and then getting people to like the page if they liked this one work out or this one exercise or something like that. So, the whole purpose of this ad was to get a like and then once she got the like, then I believe that she was hoping that people then start to see content if she published content because she is actively on that page. The problem is, is that Facebook really doesn’t show our stuff all that much and you know there’s a whole bunch of filters built in now where if you want to hear from this person, you have to click a certain button or a certain checkbox. They’re changing it all the time. Same thing on YouTube. It’s becoming harder and harder even though we’re a subscriber or we’re a fan of a page or even a member of a group. It’s just becoming harder. And do this for me, if you don’t believe me, go to a page right now. Not now. We’ll wait until you get on with this but do this. You might even want to go back and listen to this or go to the show notes and you can you can read it. [00:06:36] Scott: Find the page that has 50,000 likes or 100,000 likes or 300,000 likes. I don’t care. Just something that’s got quite a bit of what you would think engagement but that has a lot of people, so go there. And then what I want you to do is I want you to look at one of their posts and I want you to see how much engagement that post has gotten in the past day or two days, or even a week, and you’re going to find, I can almost guarantee it, that it’s going be very, very small compared to how many followers they have. I see this on Instagram too. Instagram, someone’s got 300,000 people that follow them or they follow them on Instagram or Facebook or whatever, but let’s just say Instagram, and they post something and they get like 2,000 likes. The people are like, “Wow. They’re popular. They got 2,000 likes. That’s out of 300,000 people like that’s not good. That’s not good at all. Like, people are complaining because they’re getting only 10% open rates on email. You’re getting better there than you are on something like that. With 300,000 people that are following you on Instagram and you’re only getting 3,000 people to actually like it or engage with it. And comments, that’s even less. You might get 20. You might get 50 depending if you’ve asked an engaging question or something like that. But like it’s not going to be 10%. I can almost guarantee that. And again, go back in time a little bit. I mean, you’ll see this on YouTube. Go to a YouTube video. Someone’s got 100,000 people that have subscribed to the YouTube channel. They post a video and they get 2,000 views in maybe two days. It’s not really that good. Now, the cool thing about YouTube that I like is even though you didn’t get instant like visibility, that’s evergreen. Instagram, it’s gone. Facebook, it’s gone. Unless we can drive traffic to that stuff, then, yes, we can resurrect it. We can use it as content. I’m a big fan of that. [00:08:38] Scott: But if your strategy is to build a fan page and get likes and then you think that you’re going to be seen by those people, I’m here to tell you that’s probably not going to be the case. I would almost bet on it that it’s not going to be the case. You’re going to get a handful but nothing near what you’re getting. But you might argue and say, “But, Scott, I’m getting like $0.10 likes or $0.20 likes.” Okay. That’s great. Someone liked it. Out of those 10, let’s say you got 10 likes, okay, if you can get one person to see your stuff, that would be good. So, really, what did it cost you? $1. So, it really cost you $1 to get that. I’d rather spend $1 on an email address than I would on getting a Facebook fan page like. Now, one thing that you could do and I didn’t ask this individual personally but maybe she was going to get a whole bunch of likes and then she was going to run a retargeting ad to the people that liked her page. That’s fine. I still wouldn’t do that route, not right now. Now, if you have a page that has 50,000 then, yeah, you can target those people and that’d be great but I wouldn’t pay to get to that 50,000. What I’m about the share with you is what I would do and it’s actually something that we’re currently doing in a few different situations. I’m actually running a little test here for my son who has a local little basketball training camp that he does and we’re building up some awareness there through Facebook. We’re also doing it in the new brand. We’re going to be running this exact same strategy them I’m also doing it was some TAS stuff. So, here is again the old way. Okay. Let’s just get this out of the way. Run Facebook ad and then get likes and then post content on the page, ask for engagement, likes, comments, whatever, and then you’re hoping that you’re going to show up in the feed. That’s the old way because it really doesn’t work anymore. Okay. Now, again like I said, you can still run ads to those people that check the box that said, “Yeah. I like this page,” but then they’re gone. [00:10:38] Scott: Here’s a better way of doing it so pay attention. All right. Here we go. You can post a video or content. It doesn’t have to be video. I’m going to use video as an example because I think there’s so much we can do with video now and we can really speed up that process of getting people to know, like, and trust us. So, here is what we are doing. We create four to six pieces of content, preferably video so I’m going to use video as this example. Now, in those videos, it’s really important that we’re not going to be pitching our products. That’s not what we’re doing here. Again, if all we’re trying to do is get people to see our stuff, well, then we need them to consume our stuff and we only want to focus on people that are actually really interested in our stuff, not just a like. A like doesn’t mean that they consumed any bit of our content. It just means they clicked it and then they left. So, here’s what I suggest that you do or anyone that wants to kind of build out a custom audience in Facebook, but also really take that bigger pond and then narrow it down and only communicate with the people that are actually consuming your content. So, we create four to six videos. Now, it’s important that these videos are not going to be 10 or 12 minutes long. I like them to be between five and seven minutes. Three-and-a-half minutes, it’s fine but five minutes, seven minutes is generally a good rule of thumb. You want to get right to the point. You want to deliver a tip or you want to address a pain point. There’s two different kinds of videos that we can do and I’m going to give you an example here, actually two different examples. So, if I was going into the bass fishing world then I know that they want to know how to catch more bass in a pond. I know they want to catch bass or how to catch bass in the weeds and maybe catch bass in the lake. Just randomly throwing three things out there. So, that would be it and then you’d give the tip and at the end, you go, “So, hopefully, you enjoy this. Hopefully, you don’t get hung up in those weeds and hopefully you go out there and catch some more bass. So, this is Scott wrapping up here. Hope you go out there and catch more fish,” whatever. Done. That’s it. Bye. Thank you for watching. That’s it. Simple. We’re not asking them to do a thing. The next one might be like how to catch bass in the lake. I’m not going to go through the whole video scenario again but you get the idea. So, all we’re doing is we’re trying to see what videos they’re consuming. So, now what we can do is in our Facebook Ads Manager we can see how long they’ve watched a video by engagement. Now, one thing that you want to look at when you’re running a Facebook ad is we are not using the conversion aspect of this. We’re using it actually, and I don’t want to get too complicated here, I just want you to understand the overall strategy but what we’re doing is we’re using engagement. [00:14:33] Scott: So, we want to get engagement with that video because what we want to do is we want to see how long people are watching the video because what we can do now is we can see that someone’s watched 25% or 50% or 75% or even 95% or 100% of that video and then we can say, “All right. My next video I want to show to people that watched 25% or more or maybe I want to go a little bit warmer and I want to say I only want to send this to people that have watched 50% or more.” Do you see the difference? If all I was doing was driving people to a like and they like the page, do I really know if they actually consumed or even if they’re interested? Do you think someone that consumed two-and-a-half minutes or three minutes of the video is getting to now know me and like me and trust me and see that maybe I’m an expert in the space or someone that is a resource in the space? Don’t you think that’s more valuable than just getting a whole bunch of likes to a page, right? Because now I can go back and at any time I can go ahead and say I want to run a retargeting ad to someone that’s watched 50% or more of my video and now I might only be showing it to maybe 700 people because that’s how many people out of 2,000 people actually made it 50% through but that’s a warmer audience and warmer I mean that they know who I am. They’ve seen me before. So, if I did this and I have four to six videos and I put them in let’s call it bucket one and those are more of an engagement campaign, it’s kind of like dripping out emails to people and getting them to know, like, and trust you and then maybe in another follow-up one it might be mentioning one of my products that I created. And then if they want to go buy it, they can or maybe you have a special coming up and you want to run a three-day sale to just those 50% or more viewers like we can do that. But if you do the same thing, let’s say that you got a thousand likes on your page and then you posted something, you might get 10 likes. [00:16:38] Scott: Great. Did they engage with it? Did they watch anything? You might see that, oh, this many people viewed the post, but that just means that they do. They could’ve landed on there for three seconds. We can see that people only watched three seconds. We’re not going to pay attention to those. We’re going to only pay attention to the ones that have watched 25% or even better, 50% or more of that. Now, I’ll give you an example. I’m doing this right now with my son here locally. So, this is how precise that we can actually focus on our area like you can take a zip code or maybe multiple zip codes or maybe take a zip code and you say within a 25-mile radius. And we’re going to be targeting moms and dads that have children under the age of 16 that play basketball like we can get really, really focused and we can narrow down our audience. And so, what we’re doing is we’re putting out these tips for kids to get ready for the upcoming season because my son is in college now, but he played ball all the way up through high school, had a pretty successful career, and now he actually does these camps. He does some free camps, he gets people interested, and then he’ll do some one-on-one coaching so people will hire him to do one-on-one coaching. I should know. I actually paid a lot of money for one-on-one coaching when he was a kid. So, he loves doing it. He enjoys it. He also wants to be a physical education teacher. He wants to also coach possibly varsity basketball. He really just enjoys the sport. So, now this is what he’s doing. So, we’re running this campaign. It’s literally costing us less. The last time I looked was like $0.19 for a 50% view of a video, $0.19. Now, I want you to think about this. If you were to run an ad for 30 seconds even on your local network that you don’t even know if people are skipping through or if people are watching that ad or not, 32nd spot, how much do you think that’s going to cost you? Probably thousands. [00:18:38] Scott: Well, we just put our ad or our piece of content in front of our ideal person by the way too. We’re not just throwing it out there to the masses and we can see that they watched 50% or more and we only paid $0.18 or $0.20 for that view. That’s pretty valuable, two-and-a-half minutes, three minutes of a view. They’re starting to know, like, and trust that individual, in this case, my son. And now the next part of this will be after we’ve done this engagement sequence, people are starting to see him come up in the news feed all the time. Now, all of a sudden, it’s this local kid that’s helping the community. He’s also pretty good at basketball. Kids like him. He’s showing some of the clips of him training some kids and then he announced he’s going to do a camp. He’s only going to take 15 people in that camp. It’s going to be $35 a kid. So, he might have spent $50 or $100 to build up that audience. [00:20:37] Scott: Or it could be a pain point of, “Man, I’ve been trying to lose this belly fat for the last 10 years after I’ve had my kids and I just can’t lose it.” So, you have to think about that when you’re creating this content. You want to be relatable. It’s not about the actual thing in this case like how to do 10 push-ups correctly. Who cares? How to build a more sculpted chest by doing this one special push-up that I learned in the military, whatever, like that would be for a guy obviously. So, hers might be something like three foods that help me lose belly fat that you’ll never believe or that I found at my local grocery store or something like that or this one exercise helped me lose belly fat and never thought it could. Try this exercise 10 minutes per day. Unbelievable. Like, something like that like a little to curiosity, but also the pain point. Hate the gym? Try this at home to shed some pounds. Like, we know that people hate going to the gym so call it out. We know people don’t want to spend a lot of times in the gym. 10 minutes per day. So, we’re calling out those things that we know that people are going to resonate with and that would stop in their tracks as they’re scrolling through the newsfeed. Target the right person, put the right message in front of the right person, look and see who’s consuming the content. Those are the ones that are raising their hands. Those are the ones you keep delivering more content to. It’s literally that simple. You can be in their newsfeed every single day if you want to, delivering value and really speeding up that process. Imagine if someone came at your door every day, knocked on, and then go, “Hey, it’s Scott again. I wanted to give you a tip today.” “Oh cool, Scott. What is it?” “Here’s what it is,” whatever you’re going to help with, how to play piano. And then the next day you knock on the door, “Hey, I got another tip for you.” “Oh, cool, Scott. Come on in.” You sit down and you show him how to place a different chord on the piano or a different song. Next day you knock on the door. It’s the same idea. You’re able to show up over and over and over again only to the people that actually have raised their hand by watching something in the past. [00:22:40] Scott: So, it works really, really good and this way here we can show up. We are going to pay for it but we can show up and we can see exactly who is resonating with it and who’s not and it all does come down to the targeting. You do need to know what the market or who the market is. You can’t just go out there and just throw a blanket out there and just hope that you can grab the right ones. The other cool thing you can do is if you have an email list right now of either past customers or people that have showed interest in maybe a giveaway or something in the past and they’ve raised their hand for something that you know is related to your market. You can upload that to Facebook and then you can use that as your as your starting point and then you can start to narrow in from there. So, so much that you can do there. Again, I covered this on the whiteboard. I’m actually going to be doing another one on the whiteboard here. So, depending on when you listen to this, you might want to head over to TheAmazingSellerTV.com Brand Builder series there where I go through the whiteboard. You’ll see some whiteboard videos there of me. Those are the ones you’re going to want to definitely check out because I’ll kind of map it out for you. And I wanted to do this one here because I’ve seen this lady that my wife really loves the way that she teaches and she’s got a great way with helping people but she just doesn’t know the marketing side of things and I think she got advice from someone else that was telling her to do this like campaign. I’m like, “Man, is that like an old course or something? Because that’s totally not what we’re doing now like that’s not it. That’s not even close.” So, I didn’t want to see her go down that road. So, my wife did reach out to her, gave her a little bit of advice, but I said, “You know what, I’m just going to go ahead and shoot a podcast episode and I’ll do a whiteboard video and you can just send it to her and I’ll help other people in the audience as well, but I’ll also help her individually.” So, hopefully, this reaches her. So, again here is kind of like a recap on what she could do, but also just to kind of give you on how this would work. All right. So, post videos on your Facebook page. You will need a Facebook page in order for this to work. It doesn’t matter if there’s anybody on your page or not but you need that as your placeholder because that’s what you’re going to run your ads against. [00:24:36] Scott: So, your target market, in this case, you need to know what that is but in this case, it’s women 40 plus, maybe working full-time jobs or a full-time job. The other one you can do too if you wanted to is you can add another component to it to kind of even get a little bit of a wider, but also go a little bit deeper, and maybe at Woman’s World Magazine because we know that women in that age range probably read Women’s World. I should know that my wife reads that magazine. So, run ads for engagement. That’s the way I would set up those ads. Create custom audiences for the different views or the amount of views, 25%, 50%, 75%. You’ll get that stuff in the back end of your ads manager and then run ads to the people that engage. So, the people that are engaging, those are the ones that you’re going to retarget with more of your content and potentially some offers or maybe even a lead magnet to get them on your email list too. So, there’s some cool things that we can do there and again we’re going to show up in their newsfeed on a regular basis and deliver value and you will be known as the cool person in the market. I mean, it’s really that simple. How do you stand out amongst your competition? You show up at the marketplace and you offer goodwill. You offer good content that people can actually benefit from whether they buy from you or not. I mean, heck, you guys are listening to this podcast. A lot of people have been listening for the past three-and-a-half years and you keep showing up because I keep delivering content. I’m not asking you to do anything other than consume this content. If you want to send me a thank you letter, that would be great or if you want to buy something from me in the future, if I have any resources that might be of benefit to you, then, yeah, for sure. Absolutely. If you want to go through one my affiliate links, that’s great but I’m not saying that I’m going to stop creating this content unless you buy from me. There’s a lot of people listening that never buy a thing and that’s okay. I still want to add value to the marketplace. That’s how you stand out amongst your competition. I mean, that’s how you do it. [00:26:38] Scott: Like, there’s a lot of noise out there. There’s a lot of, “Buy my stuff.” The minute you get on someone’s list, they’re banging you over the head or spammy headlines or subject lines or clickbait as we call it where you’re trying to get someone to click in and then you kind of bait and switch, like none of that stuff. Just truly show up and give some really awesome advice or tips or experiences or a story of what you did that helped you get through this certain thing like really that simple. Help someone get a result before they ever buy from you and there’s so much that you can do around your market, most likely. It just depends on the market but if you really think about like what does your market need, what do they want, and then you just you create that content around that. And a lot of times you can see other successful brands out there or even influencers in your space that are creating really awesome content and then you can see what is resonating with people and you just create some with your own spin on it like that’s how you do it. So, the cool thing here is once you do something like this, you’re building another off-Amazon asset and we’re doing something in here. Actually, we’re doing two things in here that actually relate back to PACE. So, you guys that are coming in late maybe and you haven’t heard me talk about PACE, it’s preparation foundation, that’s your first pillar, then there is A for attention, then there is C for cultivation, and then there’s E for expansion. Well, right here we’re talking about attention and we’re talking about cultivation. So, we’re grabbing the attention, how to catch more bass in the pond, how to catch bass in the weeds. So, that’s getting the attention of the right people and then I’m showing them and demonstrating that I can help them, whether it’s a story, whether it’s something that I’ve done in the past, whether it’s something that I’ve just learned, I’m going to share it with them. [00:28:38] Scott: So, that’s the cultivation. That’s the building the trust, the bond, and then once you have that, I’m telling you, it becomes so much easier. You don’t have to sell. It becomes so much easier. So, I just wanted to kind of share this with you guys because it’s pretty cool that you can do this, but it’s also new to a lot of people and it was new to me until not that long ago. I mean, we’ve always been able, not always, but recently we’ve been able to kind of target people by how much they consume and stuff. This is a whole another way of looking at it by looking at just delivering content without really asking for something and then from there, getting them into another bucket, a warmer bucket or a warmer part of the pond. Get that? Catch more bass in the pond pun. I just kind of tie that together. I didn’t mean to but it happened. So, you can basically just start to warm them up and then communicate with those people that are ready to maybe get an offer or maybe ready to be introduced to something versus you just showing up and going, “Hey, my name is Scott. I got something to buy. You want to buy it?” Like that’s not going to work. So, it’s pretty awesome to be able to have this and be able to use this to really build our brand so this way here we have another channel outside of Amazon that we can drive sales back to Amazon if we want to and then from there if we want, we can also drive them directly to our own sales funnel or our own free plus shipping offer or anything else. This here is an asset. This is also a skill set that you’ll be learning that you’ll have that a lot of your competition won’t have. [00:30:11] Scott: So, definitely something to consider and something that I’ll be definitely spending a little bit more time on here in the future, and this is definitely something that we’re going to be talking about at Brand Accelerator Live. I’ve got some Facebook ads people coming in that’s going to talk to us a little bit more on this also about offers and lead magnets, how to get more attention, how to create the best offers, all that stuff, and so much more. But really, we are to be diving deep into all of these different elements in PACE, but these two specifically, building an email list, how to do the retargeting the proper way, but really how to get that leverage outside of Amazon so we can really build our business to not rely on just one stream, and also allows us to if we ever want to sell, we have more assets in our business. And the other cool thing is you are building a skill set through this entire process. So, guys, if you want to hang out me at Brand Accelerator Live in September 2019, I definitely suggest you run over and grab a ticket while they’re still available and you can do that by heading over to BrandAcceleratorLive.com. Grab it over there or TheAmazingSeller.com/Live. All right, guys. So, that’s it. That’s going to wrap up this episode. Remember, as always, I’m here for you, I believe in you, and I am rooting for you, but you have to, you have to, come on, say it with me, say it loud, say it proud, take action! Have an awesome amazing day! And I’ll see you right back here on the next episode.